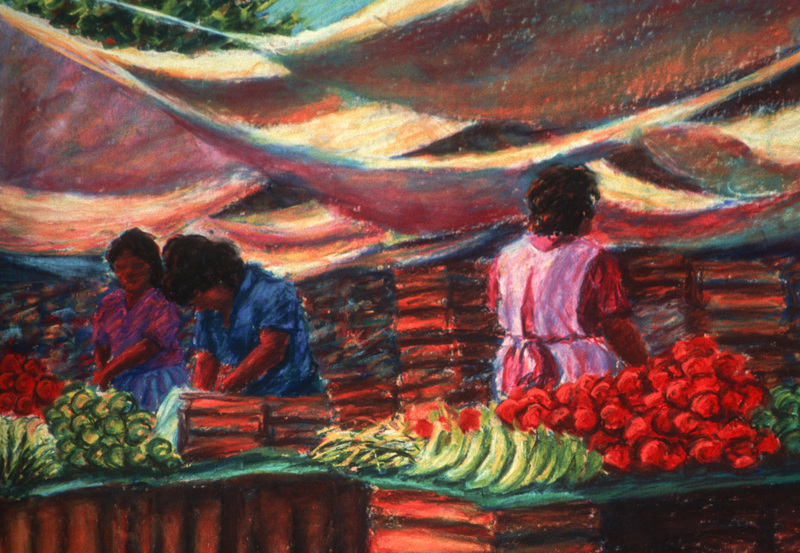 This vibrant painting depicts a colorful market in the small village of Tepoztlan, Mexico. The original pastel on paper is in a private collection. This print is now available as a limited giclee print in an edition of 50. They are available framed or unframed, with an image size of 14"H 18"W and a framed size of 22"H x 26"W. Shipping is free. 7" x 10"11" x 16"